This year I wanted to have a way to put up remembrances of the birthday parties we host here at the Party House. I am working on getting all of the birthday cakes, with the guests of honor printed out so I can make a cool board to pin them up on in our family room. It will be a great conversation piece for the next party here. 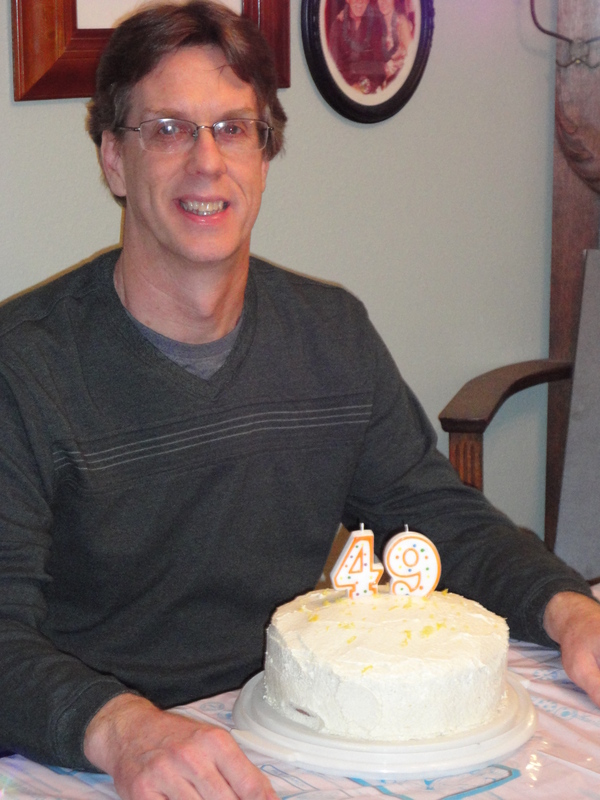 Since this is the beginning of June I thought it would be fun to share the birthday pictures with everyone from this year so far. In January, we have my younger brother, Jim. He’s almost 50! Can’t wait until next January so we can surprise him with something! 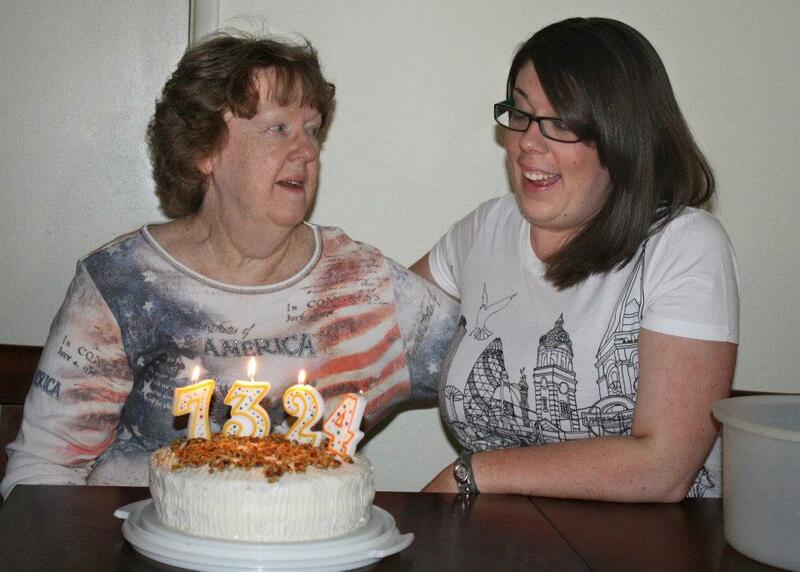 Also in January is my niece, Mary and my Mom on February 3rd. They usually celebrate with a combo party. 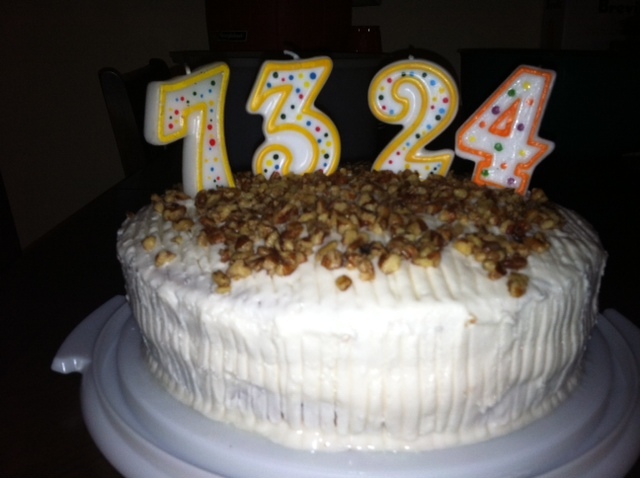 This cake was a lovely Butter Pecan cake, extremely yummy. In March it’s our youngest daughter, Hilary’s, birthday. 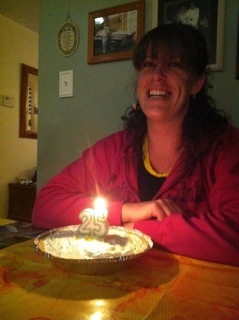 She just turned 25, man I’m getting old! 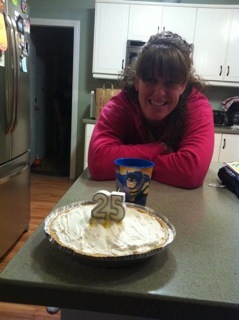 This was the no-bake lemon cheesecake. This recipe was posted a few weeks ago. Yum, yum. 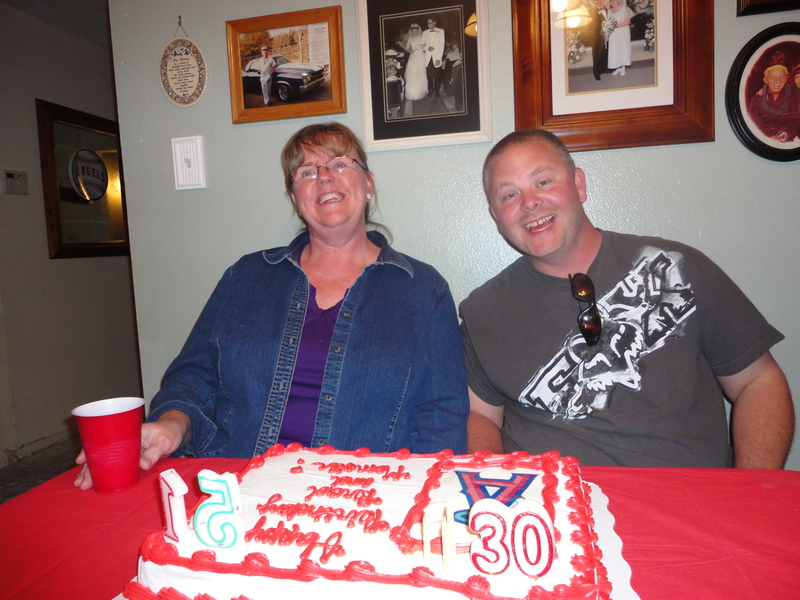 In April, I celebrated my birthday along with my son-in-law Brad. I’m not going to post our ages. You can see the candles loud and clear. 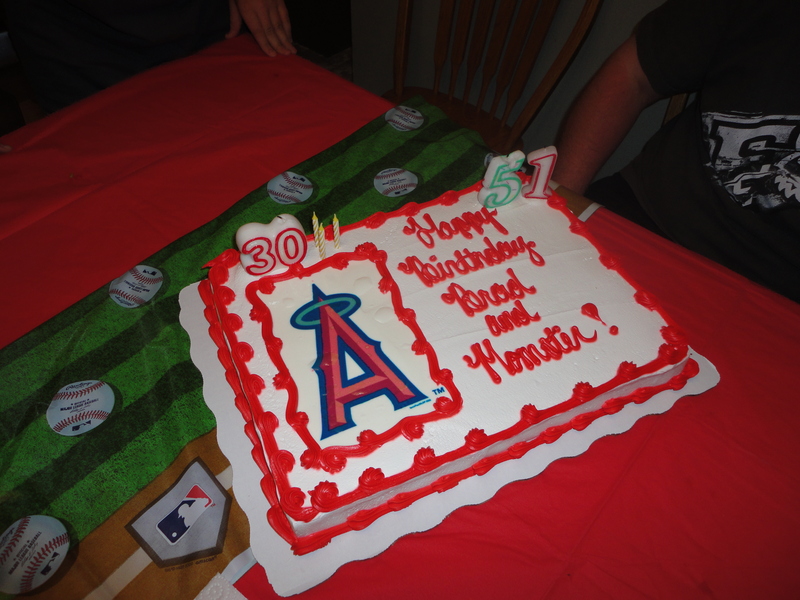 We had the good fortune to attend an Angels game on our Birthday weekend. 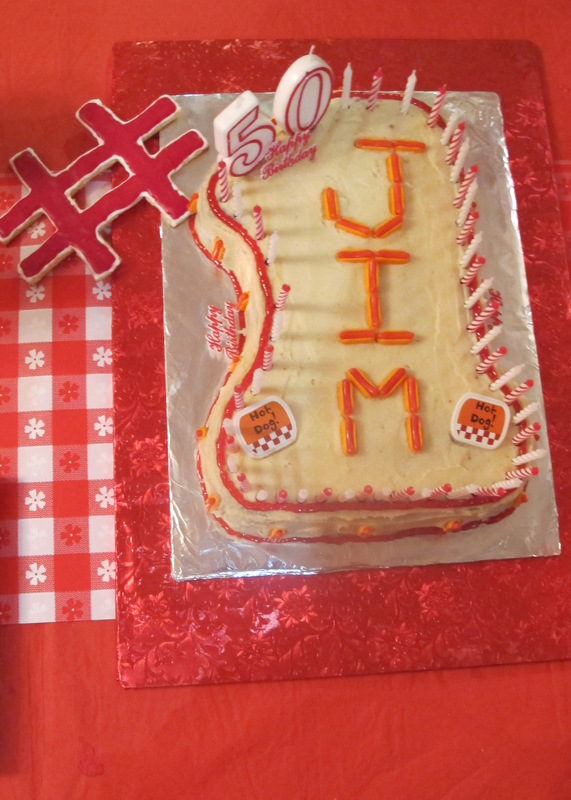 So of course we had to have this cake! 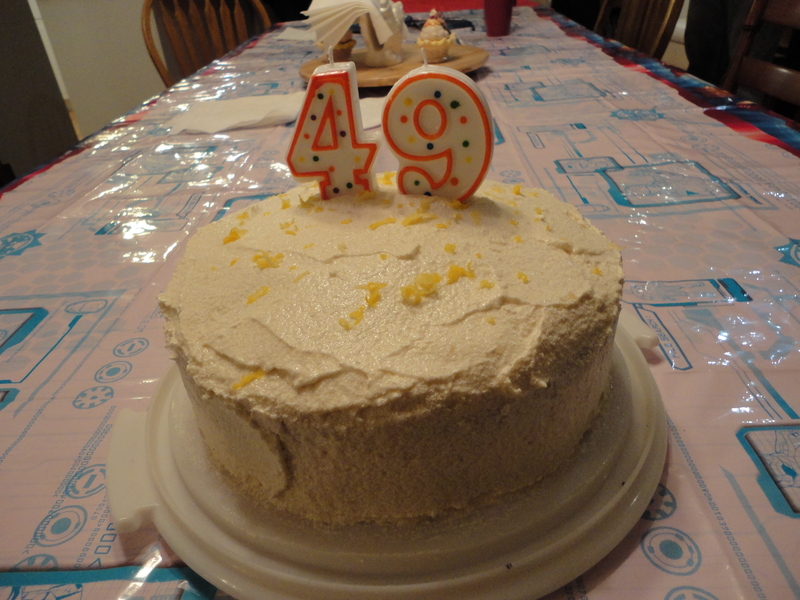 It has a yummy whip cream frosting, so much better than buttercream anytime. 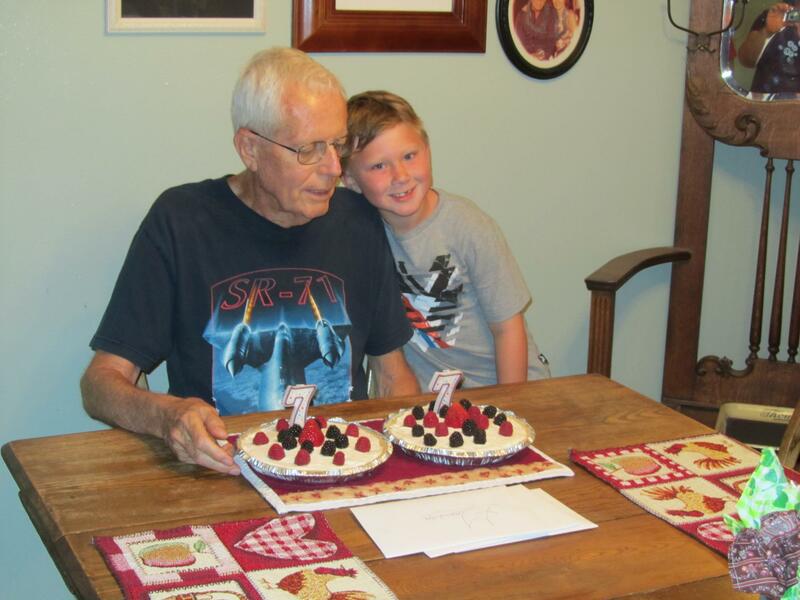 In May, we celebrated my Dad’s birthday with some no-bake cheesecake and berries. Quite a light summer dessert treat. Evan gave his great-grandpa the sweetest, most heartfelt hug right before we sang. We all went, “Awwwwwwwwwww”. 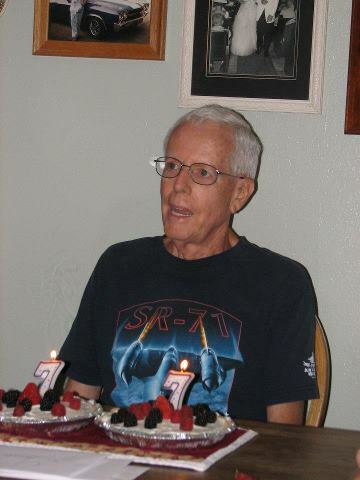 I love this picture of my Dad singing to himself. We had a great day, lots of fun family times. We are surrounded by an amazing family group. There’s just so much love, caring, and compassion. It’s the most comforting feeling to know that you can count on your family for anything. A rousing Happy Birthday to all of the family who have celebrated so far this year. As soon as my board is complete I will post an update on how it turns out. 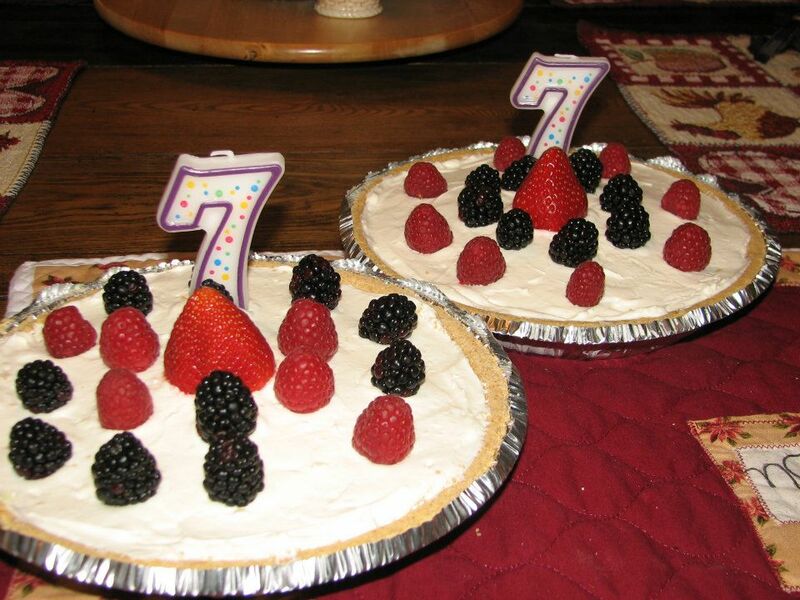 Are there any new traditions started in your family this year? p.s. photo credits in this post go to Elaine, Erica, and my Mom. Thanks ladies for making sure we don’t miss out on any great memories.